Tax time is just around the corner. Taxpayers are looking for ways to make this annual event go by smoothly and as painlessly as possible. Taxes can be tough to figure out. 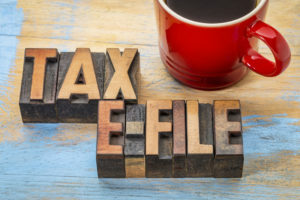 Some people planning to do their taxes on their own may be filing a very simple return, while others might be misguided as to the extent of their own knowledge and abilities. The truth is you don’t need to go it alone, because there are so many useful online tax software options out there. There is a slight problem, though: With so many available, it can be tough to figure out which ones are the best choice for your particular tax situation. At their core, many of these software options are pretty much the same, offering a way to prepare your taxes in simple language. They provide explanations of all the pertinent topics that you may encounter as you fill out and file your return. These days, completing your taxes on your own is getting easier than ever. Most taxpayers turn to these online preparation options because they do all of the work for you. Plus, it’s much cheaper than hiring a certified public accountant or tax professional to walk you through the process. Some of these programs even let you do the work on a tablet or smartphone, which makes them even more convenient. Filling out your return and filing it online has also become the preferable method for the IRS. An overwhelming majority of Americans are now filing electronically. This is convenient for the taxpayer and the IRS. It also helps to expedite the processing of tax returns. In turn, you can get your money faster. Additionally, you can file your Form 1040EZ or 1040A for free with most of these software options. When it comes to money, free and fast are two of everyone’s favorite adjectives. So what are you really looking for when you’re seeking out the best online tax software? Different taxpayers may have different needs and requirements for filling out their return. Therefore, there are a few things that every good tax software must offer to be considered among the very best. First and foremost, the software should be able to guide you through the filing process from start to finish. It needs to use basic language. It must offer simple instructions that make it easy to understand every step of the way. All of the information the software provides should be fully updated. It must be current with all IRS tax code changes. The IRS is always making adjustments to tax rules and regulations. Thus, it can be easy to miss something. That, in turn, could result in your being penalized or paying more on your tax bill. Being current with the laws can also help you receive the most from deductions and credits. These also change annually. Therefore, the best online tax software should always know which ones exist to help you get the biggest refund each year. That can be accomplished through a series of queries and prompts that the software asks you to fill in. You provide all of the data that the software requests. Then it will generate a series of recommendations that are tailor-made for your particular situation. The software will then suggest whether it benefits you more to choose standard or itemized deductions in situations where you have the option. It can also recommend whether or not you should change your filing status. This will help you decide how many dependents to claim. These are just some of the ways your software can help you file the most accurate return possible. When all is said and done, the software should be able to calculate how much of a refund to expect or how much you now owe the IRS. That is based on all of the information you’ve provided. Math can be hard. This is especially so when you’re trying to calculate numbers under all of the complex instructions as set forth by the IRS. Your software should be able to do that all for you, in real time. Don’t expect one type of online tax software to get you a larger refund than another. That’s not how to determine which software to choose. Getting your refund is solely based on your tax situation and the speed with which the IRS is issuing payments to the American public. Of course, each return will be checked for accuracy before any money is sent. That process typically takes 14-21 days when you file electronically. You can receive your refund quicker through online tax software as opposed to mailing in a paper return (which can take 6-8 weeks to process). Consequently, you can’t select which software to use based solely on getting more money faster. Three is another thing to keep in mind. Filers who are claiming deductions for the Child Tax Credit and the Earned Income Tax Credit should expect their refunds to be delayed in 2017. This is due to the IRS taking additional precautions to check each return with such deductions. That is to avoid fraudulent claims from taxpayers who are not eligible to take these credits. Your tax software has no control over this either. In this case, it doesn’t matter which one you select. The delay is due to the IRS. They alone are the reason why your money may arrive later than expected. No tax software can accurately promise you the biggest and fastest refund. Some tax software options can offer more comprehensive query protocols in order to find you the most credits and deductions. However, the refund you are entitled to receive is based solely upon your income and expenses. Additionally, it relies on other conditions that are exclusive to you alone. You can’t rely on tax software to find you additional money that you may not be entitled to receive. Filing taxes means submitting sensitive and confidential financial information. 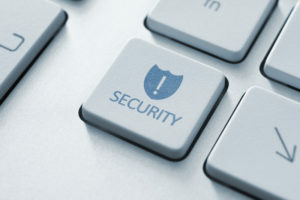 It can be potentially damaging should that data fall into the wrong hands. Your Social Security Number and other personal information must be completely protected. The best online tax software should have redundant safeguards built in that are designed to do just that. There is no such thing as too much security. Thus, when you’re choosing the right software, be sure to consider which safety measures exist to keep your information on lock-down. This can include password protocols. They should require a combination of letters, numbers, and symbols. That, in turn, makes your password difficult to recreate to authentication protocols for the device you are using to complete your return and file it. These are the best choices on the market right now. They provide a simple and succinct service for all taxpayers to fill out and file their return. Your tax situation may be super simple or incredibly complex. Regardless, these tax software choices all offer the necessary tools. They will give you the most user-friendly experience possible. This is perhaps one of the best-known names on the market when it comes to online tax software. TurboTax is a highly popular option used by millions, and for good reason. It’s extremely easy to use. It has simple navigation and basic instructions. It also has plenty of well-written explanations for all of the tax terminology. It provides forms that you may encounter as you fill out and file your return. Working with TurboTax is going to make any filer feel like they are in total control of their tax return. It explains everything for you. Plus, it provides clear direction through the completion process. It also allows you to go back and forward as necessary. In turn, it ensures that you have filled in all of your information with complete accuracy. TurboTax works by taking you through an interview process. That is the standard for most software programs of this nature). It asks a series of questions about your particular situation for the past year. This makes the process nearly foolproof. That is because the software instructs you where to input your information. It ensures you do it correctly in each box on every form you need to fill out. The software even explains how each form works. It clarifies why you may need to include it as a part of your return. This can be very useful for those taxpayers who find themselves at a loss for understanding all the IRS Tax code complexities. Perhaps you still find yourself completely stumped. TurboTax lets you reach out via email or through a user forum for the free version of the software. Those who are paying for the subscription have a dedicated phone line that they. They will get to speak with a real live person who can help. These individuals are CPA’s. They have all of the answers to your questions. Plus, it can be a reassuring to know they are always there anytime you need them. Beware, however, maybe filling out your return proves to be more intricate than the standard return. In that case, you may be required to buy a subscription for the complete service. The free version of the software is somewhat limited. It deals with the most common tax questions and deductions. 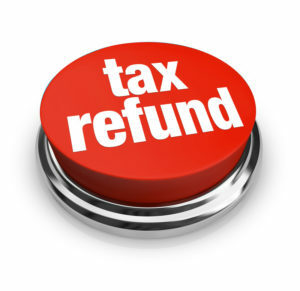 If you have a refund coming, TurboTax offers you a couple of options. Both of which are extremely convenient. You can enter your bank account information. Then, that the money can be sent via direct deposit. You can even take a prepaid Visa gift card or standard check. It would be sent through the mail to the address listed on your return. For more complex returns, the fees to purchase the full TurboTax subscription can be withdrawn from your refund. Additionally, you can pay with a credit or debit card or Apple Pay. You can fill out your federal return through TurboTax, but you can also use TurboTax for any state return you may need to submit as well. The software has applicable forms for all fifty states. Hence, you can use TurboTax no matter where you live in the country. It’s also fully up to date on all of the tax deductions and credits that are currently available. Plus, it comes equipped with a refund calculator. That can give you a sneak preview of your refund from the IRS for the year before you fill out your return in full. This is the only brand on our list that has better name recognition than TurboTax. H&R Block has been in the tax preparation business for more than 60 years. They established an online software presence nearly two decades ago. It has served millions do-it-yourself taxpayers with excellent results. This is one of the best options available at the moment. That is because it’s easy to use and understand. It guides you through the process without confusion or complicated terminology and directions. The H&R Block software works in much the same way as the TurboTax program. It asks you questions about your situation. Then, it walks you through the process every step of the way. These queries are mostly limited to yes and no answers. The form is completed as you provide the data it requests. You almost don’t even need to think about it much beyond giving the answers to the questions asked. Everything is easy to read and understand. Additionally, as you proceed, you may even see a little box pop-up every so often. It provides additional information that comes from the most frequently asked questions from typical users. They assume you may have the same question. Accordingly, it may offer the needed information you before you even ask. The software does all of your calculations for you. Though, it won’t necessarily provide the supporting reasons as to how it came to those calculations. You should trust that the software knows what it’s doing and the numbers are correct based on the information you provided. Though the software is designed to guide you through every step of the process with explanations, you may still be stumped. There is a phone line you can call to speak to someone. Let’s say you find yourself the subject of an audit. You can pay for a company representative to assist you in working with the IRS. Getting one is pretty standard in the way of options for getting your money. They will facilitate a direct deposit to your bank account or issue a prepaid card through the mail. If you want a check, that will cost you an additional processing fee. If you require the full version of the software as opposed to the free version, they can take the payment out of your refund. They keep it pretty standard with respect to the bells and whistles. You can file all state returns through the software. All W-2’s can be imported by scanning them in as PDF’s. The deductions are also up to date. That is because the software is very thorough. It finds all of the applicable options available to you and your tax situation. Yet, something makes this software even more enticing. H&R Block is willing to advance you the money on your refund at a maximum of $1,250. Therefore, if you’re counting on that refund to cover bills or other expenses, H&R Block can loan it to you. Then, they get repaid from the refund when it arrives. The folks at Jackson Hewitt have built a reliable online tax software program. It lets you receive your refund in a number of ways. Plus, you can walk into any of their retail offices if you find you’re having an issue with your return. This, of course, comes at a cost. Using the subscription version of the service is going to cost you more than the other guys’ programs. There is an important thing to know from the start. It’s that you’re likely going to end up paying something to use the Jackson Hewitt software. Their free version is extremely basic. It is really only suitable for anyone who just needs to fill out a 1040EZ. It’s relevant if you’re taking the standard deductions. That’s about it. Everyone else is going to need to pony up some amount of money to get the right type of service. Jackson Hewitt offers three different tiers. Each one is more comprehensive than the next. Navigating through the software is pretty easy. Though, it’s not as simplistic when it comes to explaining things. Should you have any questions, you can reach someone through a live chat platform. Nonetheless, be warned: You will need to have at least a basic knowledge of the forms you need to use. Trying to understand which forms to choose on your own may prove challenging with this software. None of this software may be downloaded to your computer either. Be sure you save your return, because the software won’t do that for you. If you log off without saving it, your work will all be lost. Jackson Hewitt has all of the options and then some. They have all the usual choices. They can direct deposit to your bank account, issue a pre-paid credit card, or give you a paper check. They are even willing to forward you an advance on your money. They will give up to $1,300 as a short-term loan that will be repaid from your return. Don’t expect to pay your filing fees or subscription costs with your refund, however. They don’t offer that option. You can benefit from filing with the company in the form of their many promotions that offer you a cash reward. This is where the software comes up just a bit short. You can’t import W-2 forms through scanning. Though, you can do it with your previous tax return. It’s not entirely up to date on every deduction out there. At least the mobile app wasn’t quite yet. Despite the heavy metal sounding name, Tax Slayer is a reliable option for completing and filing your return. It lets you do both the federal and state forms for free with the 1040EZ, and using it is very simple. However, you may not find the most current information if you opt for the mobile app. Some taxpayers may prefer the Tax Slayer software. That is because it offers a manual user interface instead of the fully automatic approach most of the software programs choose. That means you can input the information and fill out the forms yourself. The software won’t automatically input it all for you based on your data. That way you can scroll back and check your work and make changes if need be. This feature is not something readily available with the other guys’ software programs. It also provides you with a full array of educational tools to help you learn more about each form. This includes what it does, why you may need to fill it out, and more. Nevertheless, be careful about leaving it idle for too long. If the software thinks you have walked away from the computer it will lock you out. Then, it will require you to sign in again. This is good protection, of course. Though, be aware that it will keep you from getting back to your return if you take too long. Tax Slayer offers customer support through email and phone services. Direct deposit and checks are both available. You can also get your money on a prepaid card. Consequently, Tax Slayer only offers that by way of American Express. This could prove problematic. That is due to the fact that AmEx isn’t as widely accepted as Visa or MasterCard by merchants and retailers. However, the software also allows you to take your refund as a myRA retirement savings account deposit. In turn, if you’re saving for the future, you can add your refund to your nest egg. As mentioned before, Tax Slayer may be the best choice for taxpayers. It’s for those who want full control over entering their information manually to their forms. That way you can work at your own pace instead of the software’s speed. You can also import W-2 forms and previous years’ tax returns. It will even ask questions to help you claim all of your rightful deductions. That’s up to you as well. You can skip that part if you already know which ones you can claim. Unfortunately, it is limited with completing and filing state returns. That is because the software doesn’t support them from every state. The best way to get your taxes done is by asking for a little help from the experts, and all of these software programs provide you with that assistance in some form or another. Any of these options will do you a whole lot of good in ensuring you get the most money you are owed in a refund. They can take into account almost any tax situation, whether it’s taxes paid on investment earnings or taxes on lottery winnings. Don’t expect them to uncover too many tax loopholes, though. These programs are designed to help you get all of the money you can on qualifying deductions. They shouldn’t be expected to walk you through the fine complexities of the IRS tax code. Your return is guaranteed to be accurate based on the information provided. Some of the software companies will even offer to help represent you in an audit. Working with online tax software makes sense. The sooner you start, the quicker you can get that refund!